Quality Systems subsidiary NextGen Healthcare will acquire mobile physician documentation and communication technology vendor Entrada in a deal worth $34 million. NextGen President and CEO Rusty Frantz says the company will focus on expanding Entrada’s capabilities. This week on HIStalk Practice: CMS awards United Way of Greater Cleveland a $4.51 million grant to help it create an Accountable Health Communities Model. Thirteen people from three clinics are busted for their roles in a $24 million multi-clinic pill mill and fraudulent billing conspiracy. Physicians seem to favor faxes and phones over e-prescribing tech. Researchers determine community physicians are less likely to order unnecessary tests than their hospital-based counterparts. Dean Dorton acquires Metro Medical Solutions. Craft Behavioral Health Practice Manager Cara Farooque shares the challenges her practice faces in vetting technology for security and privacy controls. CareSync goes after customers for back payments. OCR gives Metro Community Provider Network a $400,000 slap on the wrist. ChenMed’s Jessica Chen, MD and Denise Hatzidakis offer insight into building and using IT for value-based primary care for seniors. Sign up for physician practice news here. Caradigm announces that it will reduce its workforce as part of a reorganization that it hopes will streamline operations. “GE Healthcare is committed to supporting the Caradigm team as they continue to evolve, positioning themselves to develop digital solutions for better outcomes in population health,” says Charles Koontz, chief digital officer, GE Healthcare. The company went through similar motions last fall, reorganizing product teams and its Services organization. Sansoro Health raises $5.2 million in a Series A funding round led by Bain Capital Ventures. The Minneapolis-based company, which has raised $6.4 million so far, has developed a data integration tool for digital health apps and EHRs. It won the Venture+ Forum startup contest at HIMSS16. Austin, TX-based healthcare cloud vendor ClearData raises $12 million, bringing its total funding to $55 million since launching in 2011. 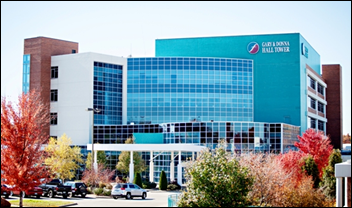 Freeman Health System (MO) implements Access e-form and electronic signature software. Kroger pharmacies connect to the Michigan Automated Prescription System with help from Appriss Health, which is helping the state develop and launch a new prescription drug monitoring system. Kroger expects to start sharing PDMP data between Michigan, Indiana, and Ohio within the next several weeks. Verscend Technologies hires Chris Coloian (Welltok) as SVP of revenue and growth, and Michael Kapp (WellPoint) as SVP of government services. Former State of Minnesota CIO Scott Peterson joins Avalere as VP of data architecture. AMD Global Telemedicine updates its Agnes Interactive software to offer improved EHR integration. Iron Bridge develops a portal to help providers query and submit data to public health registries. Intermedix adds Web and mobile form configuration and management capabilities to its EMS patient-tracking software. McPherson Hospital (KS) will implement EHR and RCM software and services from CPSI subsidiaries Evident and TruBridge. 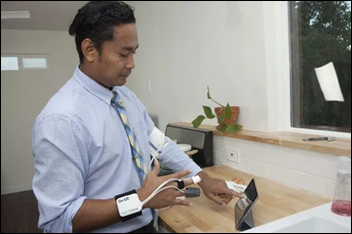 Final Frontier Medical Devices wins a $2.6 million Qualcomm Tricorder XPrize for its efforts to develop a diagnostic device for multiple ailments akin to the one used in Star Trek. Runner-up Dynamical Biomarkers Group will take home $1 million for its attempt at developing a lightweight tool that can diagnose 13 ailments and measure five vital signs at the same time. XPrize organizers will use what’s left of the original $10 million purse to help both teams develop their devices. The Roddenberry Foundation, organized by Star Trek creator Gene Roddenberry’s son, has pledged an additional $1.6 million to the effort. The VA launches a website aimed at helping bring transparency to access and quality across its facilities. Patients can look up same-day availability, average appointment wait times, satisfaction scores based on those times, and hospital and outpatient compare data. 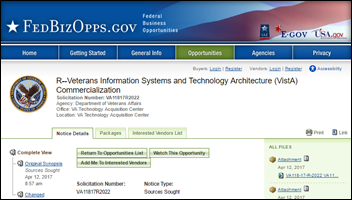 The VistA replacement saga continues as the VA issues a request for information on a commercial, SaaS-based replacement that would enable – eventually – easy updating across the entire system. 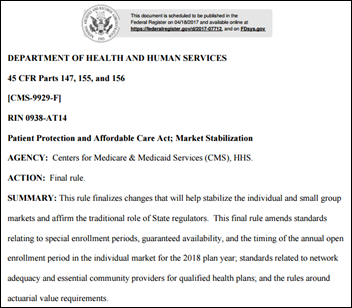 Vendors have until April 26 to submit their proposals for streamlining the 130 variations of the system and migrating them to the cloud. The Vancouver Island Health Authority decides against suspending the CPOE feature of its IHealth EHR as originally announced in February. Government officials claim the $174 million Cerner system, which has earned a fair amount of media coverage based on end-user concerns with patient safety risks and documentation quality, is too intertwined with other systems and workflows to be taken offline, even temporarily. This may be a decision that pushes some nurses over the edge: A British Columbia Nurses Union survey found that 32 percent of RNs had seriously considered leaving or retiring because of the software. 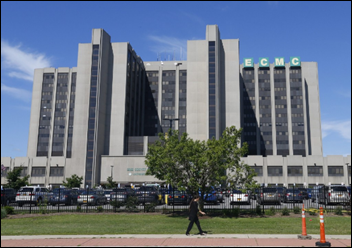 Erie County Medical Center (NY) returns to paper after a virus brings down its network early Sunday morning. A hospital spokesman refused to comment on speculation that the virus was actually a ransomware attack, and if it had been contacted by hackers or asked for payments to restore access. ECMC hopes to have patient data available today and its IT systems fully restored by Saturday. 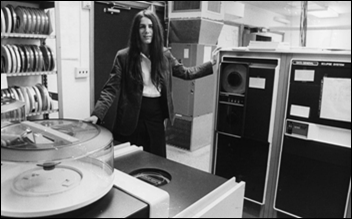 A local media outlet publishes a nicely written profile of Epic founder Judy Faulkner. Some HIStalk readers may not know that Faulkner’s mother Del, who graduated high school at the age of 15, received a Nobel Peace Prize in 1985 for her work as director of the Oregon Physicians for Social Responsibility – an affiliate of International Physicians for the Prevention of Nuclear War. Those who have been in the industry since the company’s early days will appreciate the accompanying photos. Netsmart will exhibit at the VNAA National Leadership Conference April 19 in San Diego. NVoq will exhibit at the TORCH Annual Conference & Tradeshow April 18-20 in Dallas. Clinical Computer Systems, developer of the Obix Perinatal Data System, will exhibit at Symposia Medicus April 18-20 in Las Vegas. Experian Health will exhibit at HFMA Hawaii April 20-21 in Honolulu. The SSI Group will exhibit at the Alabama HIMSS chapter Spring Conference April 19 in Huntsville. The FutureTech Podcast features Sytrue’s Kyle Silvestro. Solutionreach becomes a preferred partner of Crystal PM for optometrists.